BJP Attacks Siddaramaiah On "Innocent Minorities" Letter, Says "Mask Is Off"
Karnataka Chief Minister Siddaramaiah brushed aside attacks from the BJP. Bengaluru: A controversy over a letter sent to several districts to seek withdrawal of police cases against "innocent minorities" has blown up in the face of Siddaramaiah government, exposing the Congress government in Karnataka to charges that the government was trying to appease the Muslims. It is also seen as a setback to the Chief Minister's efforts to emphasise on what he has called his "secular" credentials. "Chief Minister Siddaramaiah's secular mask is off and his government's blatantly communal face is in front of everyone," former Chief Minister and the BJP's presumptive candidate for the state's top post BS Yeddyurappa declared after his party released the letter written by a top Karnataka police officer. The letter sent out on Thursday asked police chiefs of 22 districts for cases registered against minorities over the last five years that could be withdrawn. The letter that got leaked from the state capital Bengaluru was the third reminder in one month to the field units. "You are once again reminded to file a report with documents in this regard with your clear opinion on dropping cases against minorities in communal and other cases to this office immediately," the letter said. Chief Minister Siddaramaiah brushed aside attacks from the BJP. "The Congress doesn't fool the people with slogans like Sabka Saath, Sabka Vikaas (Together, development for all). 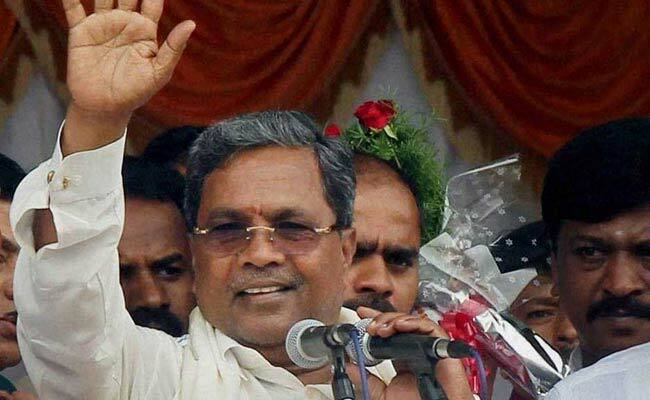 Cases against farmers, pro-Kannada activists are also being withdrawn," Mr Siddaramaiah said. He also clarified that the police wouldn't take the decision to withdraw individual cases. "That decision will be taken by the Home Ministry," he said. The Congress government's effort to talk about withdrawing criminal cases isn't unique to Karnataka. Uttar Pradesh Chief Minister Yogi Adityanath's government has also sent out similar letters to consider the possibility of withdrawing cases against BJP leaders accused of making provocative speeches and inciting riots in Muzaffarnagar in 2013 that killed 60. Legislator Rizwan Arshad, who is also the former president of Karnataka Congress's youth wing, said the police letter would have been sent after "some Muslim organisations" asked the State Home Minister to intervene "to ensure the release of innocent Muslims". "We are seeking a report about those cases where murder or injury was not reported," Mr Arshad, also a member of the legislative council said. In a tweet, the BJP leader P Muralidhar Rao said: Innocent is euphemism to cover up the core criminal intentions to terrorize and liquidate BJP leaders and also utilise their muscle power to influence electoral outcome in favour of Congress."